Playing under the name “Nolife Raphael,” he was locked in a race for the first to level 100 a month ago. Today, he’s passed the 300 mark, a significant challenge requiring a lot of games played. Raphael’s method is to play against AI bots on a map called Twisted Treeline. Unlike League of Legends’ standard five-on-five, the Treeline is three-on-three on a smaller map that has only two lanes. Since it’s a “co-op vs. AI” match, Raphael and two cohorts are the only humans in the game, as they fight against Riot’s bots. Using two experience boosts bought from the in-game store using real money and playing fast (less than nine minute) games, Raphael can rack up a lot of wins. This method, it seems, is the most efficient way to build up experience over long stretches of time. Some Reddit math indicates that it takes about 793,152 experience to reach level 300 from level 30 (the level cap before the cap was removed). The user calculates that it would take 2,509 games against bots to achieve this, about 334 hours not counting the queue and loading screen. 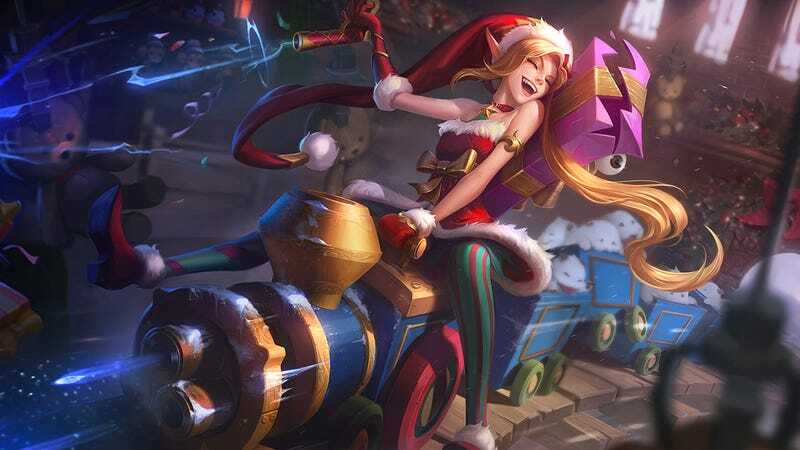 Riot Games’ Ryan “Riot Cactopus” Rigney responded in the thread, saying he had to email Raphael that some of the level rewards would be late. Seems Raphael is leveling faster than anyone, Riot Games included, could have anticipated. In a post from a month ago, after Raphael had reached level 100, a Reddit user posted the question as to why anyone would subject themselves to endless bot games. Raphael responded, writing “at the beginning it went boring, but time for time it feels good having not toxic peopel [sic] in there xD”.